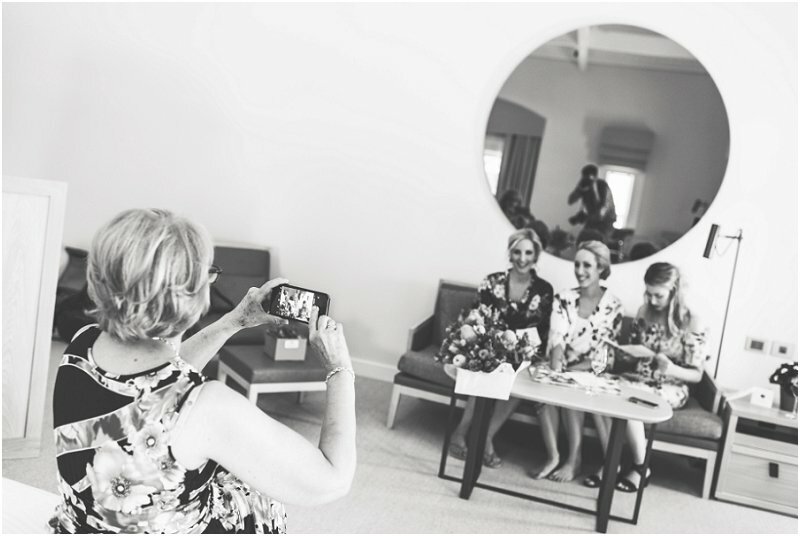 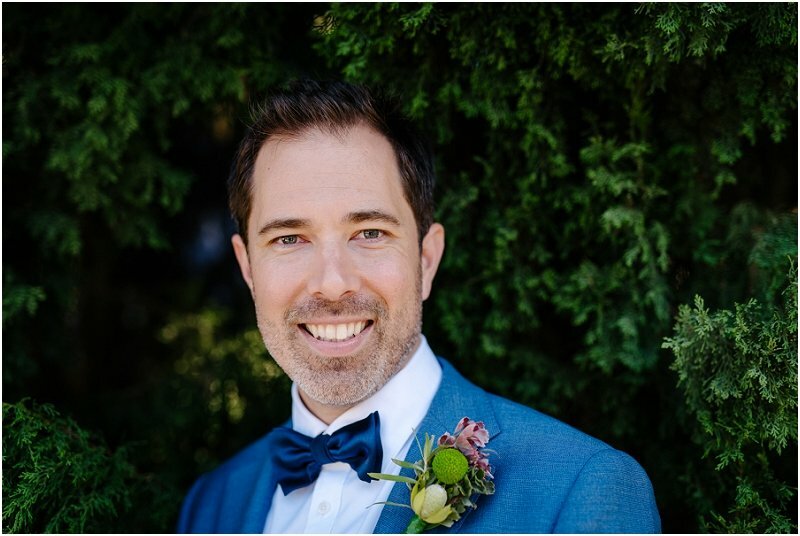 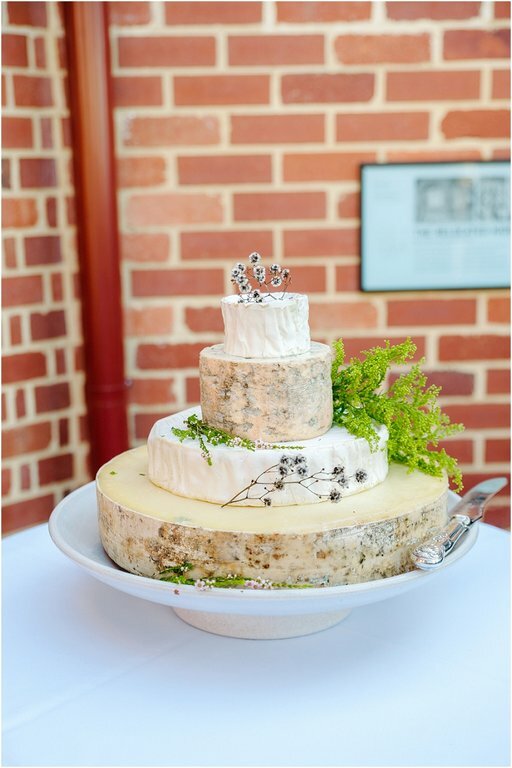 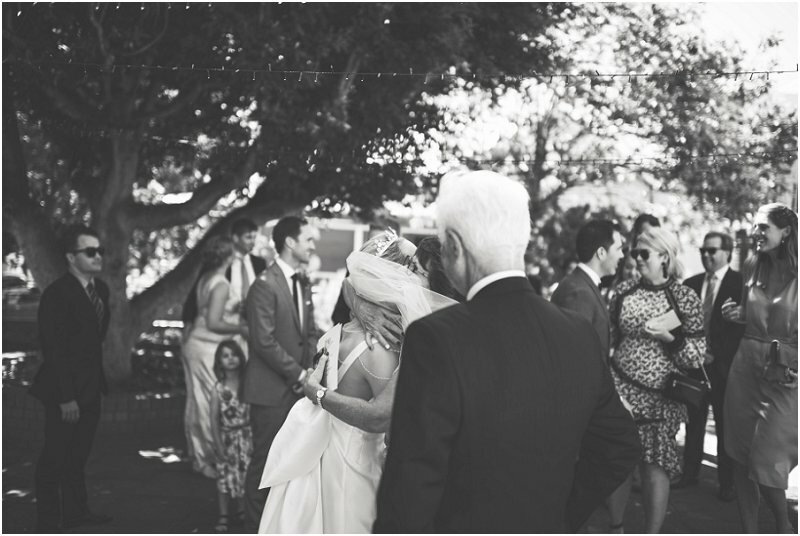 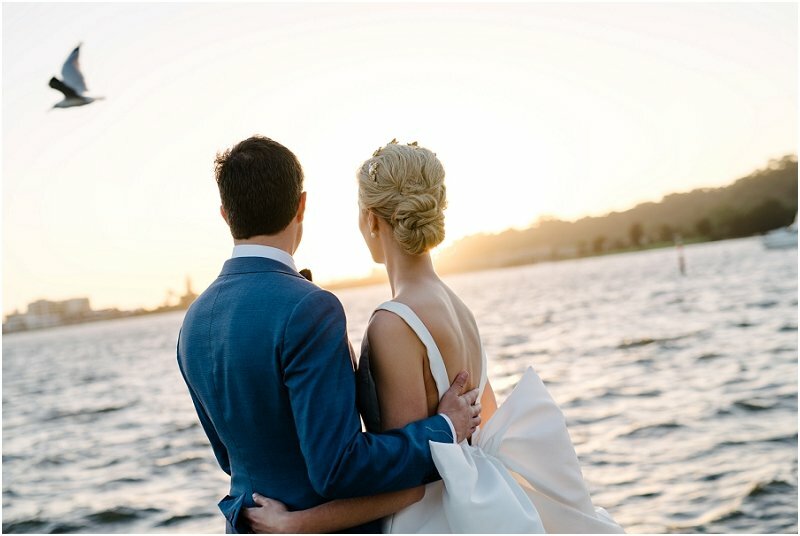 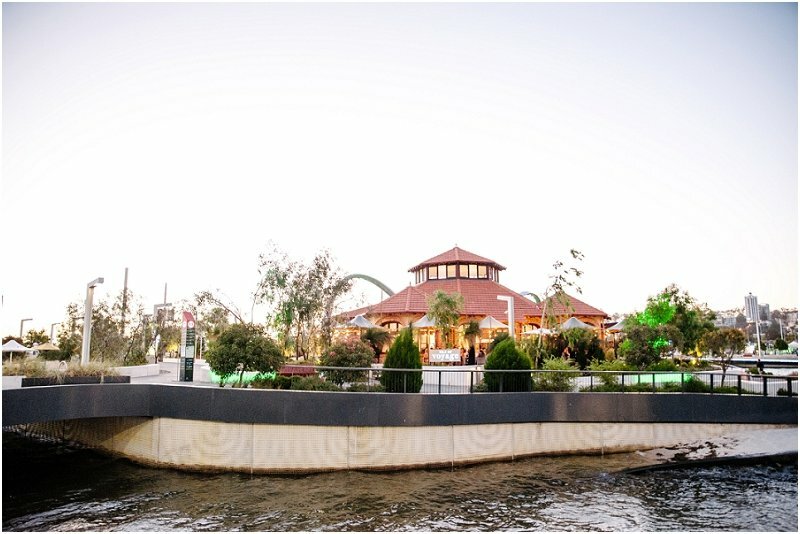 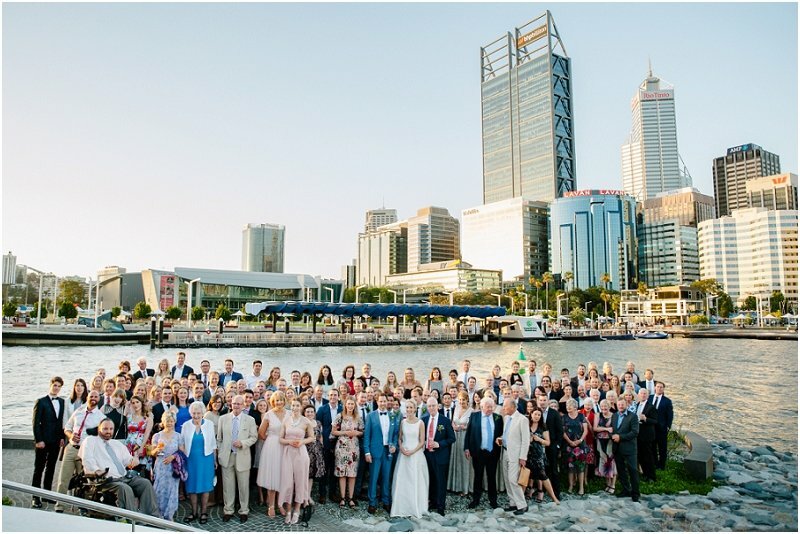 A Perth Wedding can mean a lot of things, Swan Valley, Ocean, Hills, city. 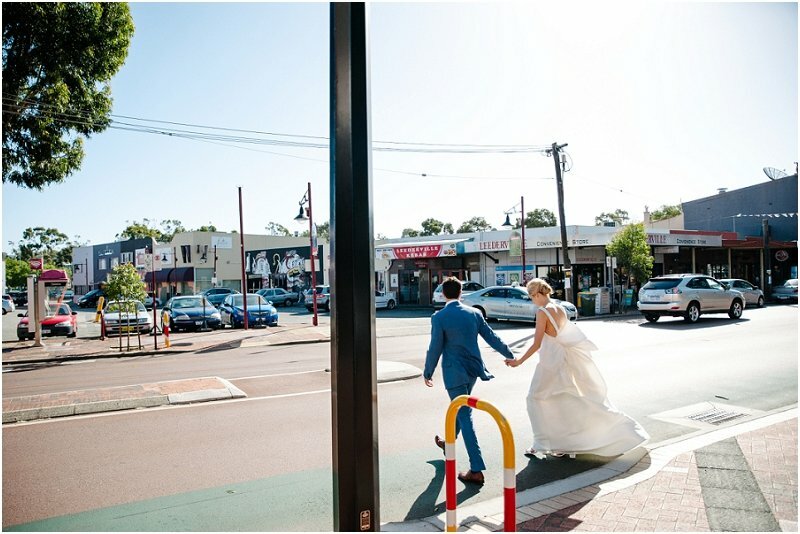 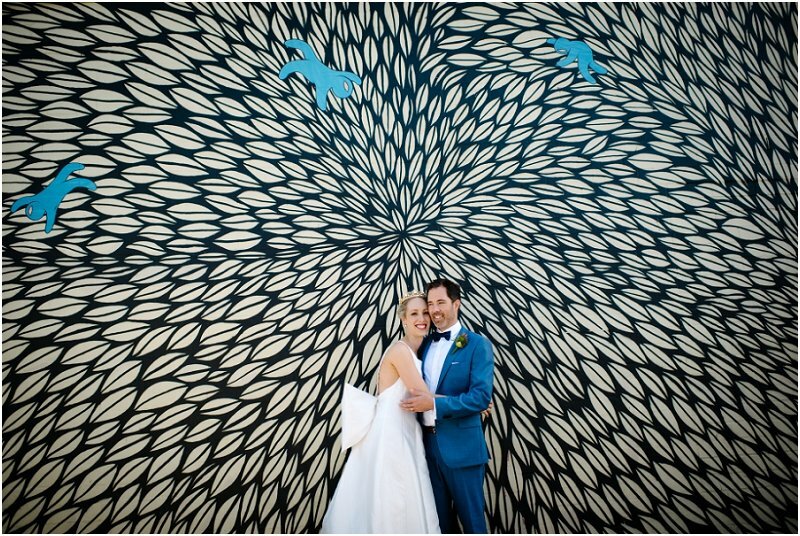 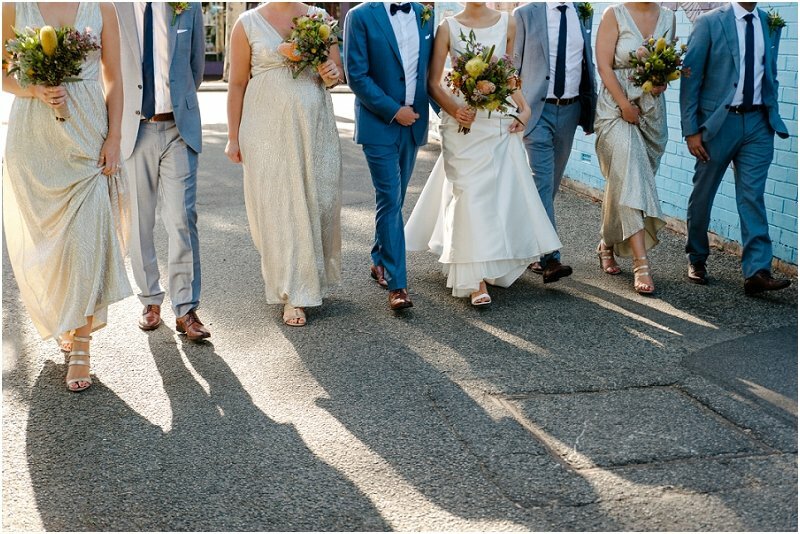 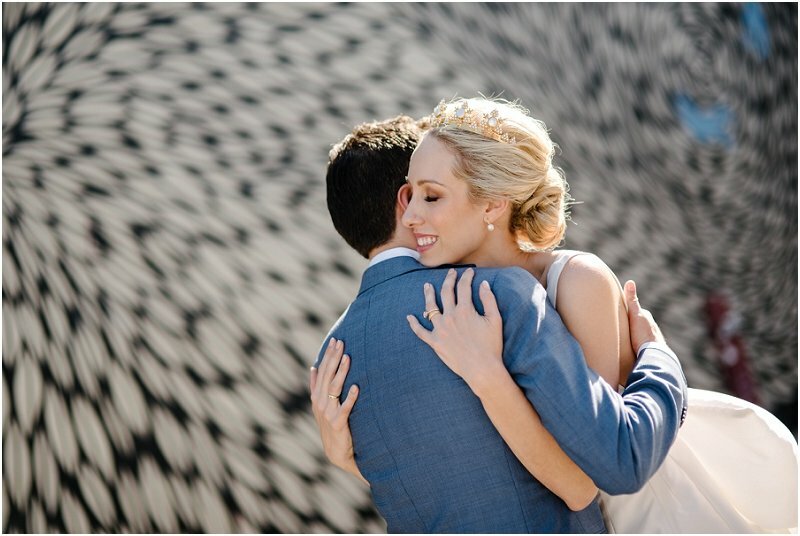 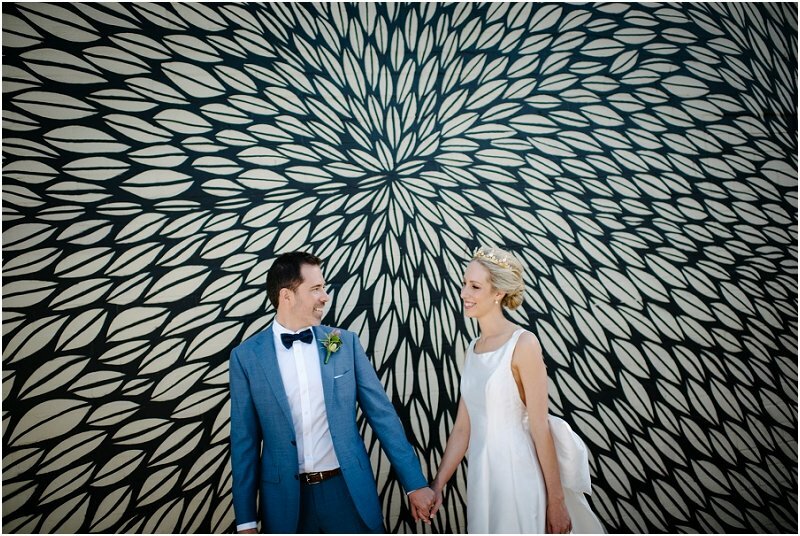 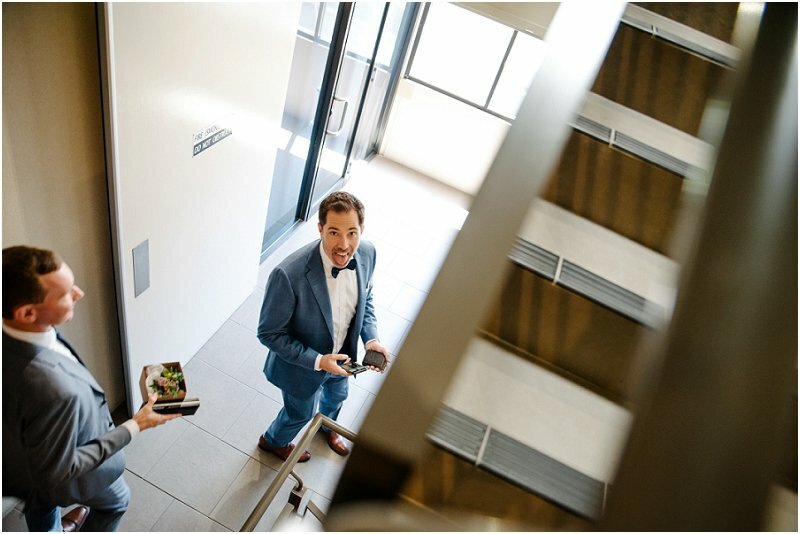 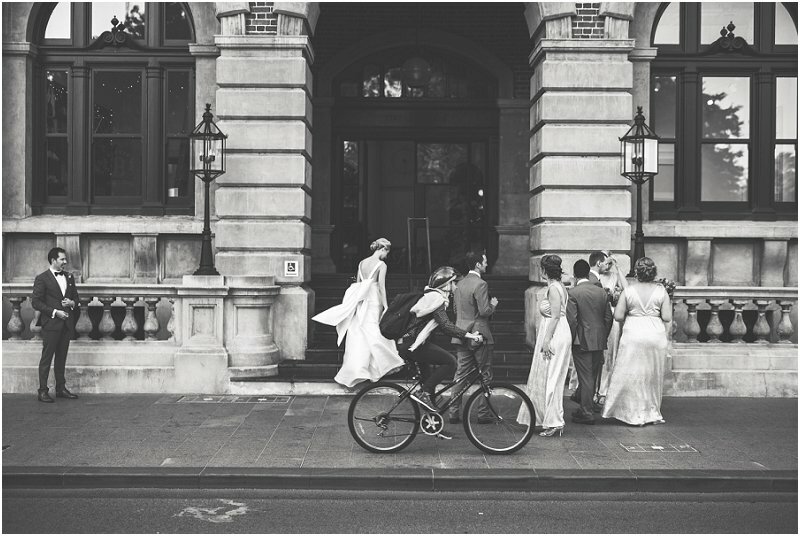 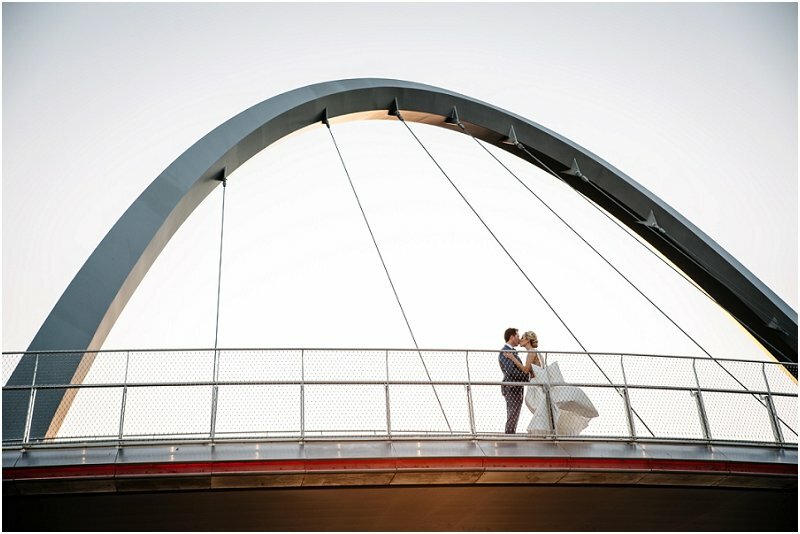 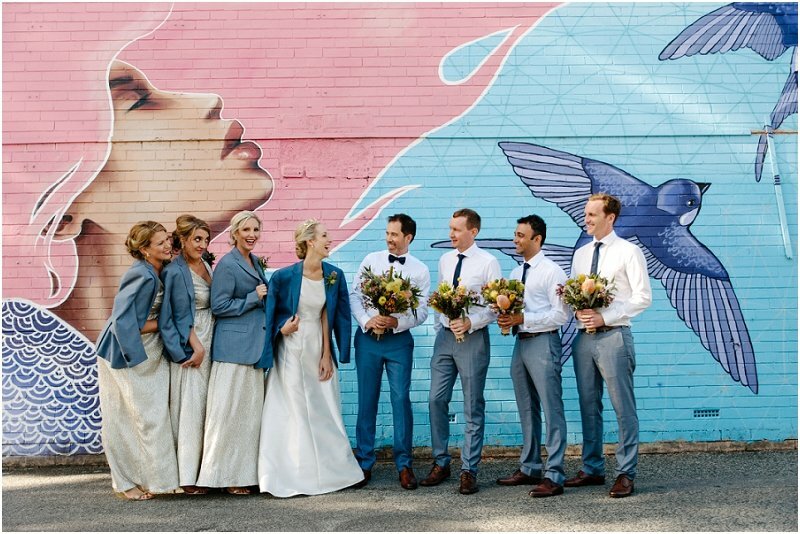 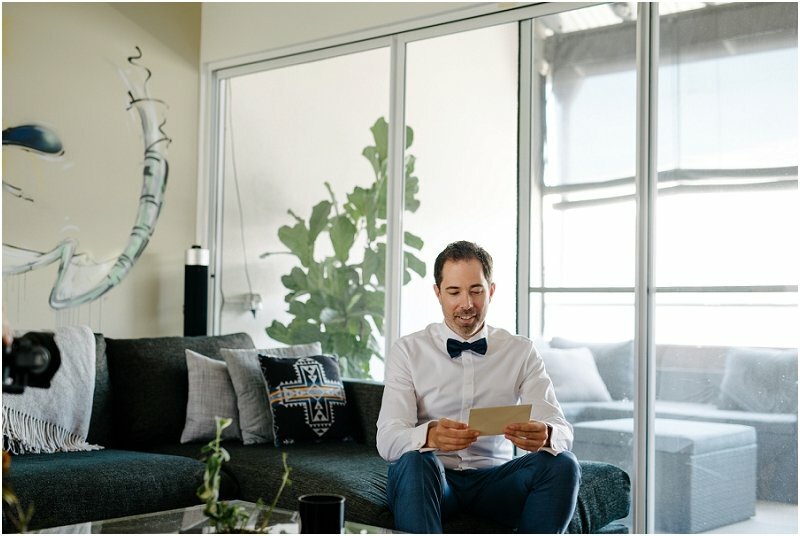 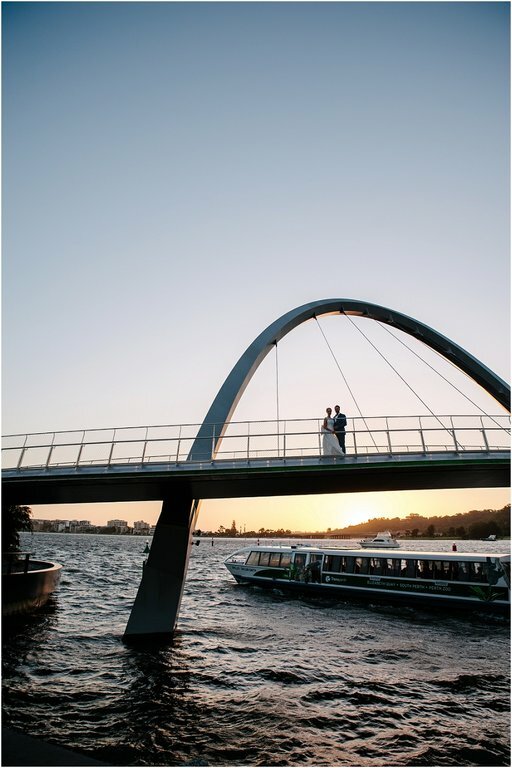 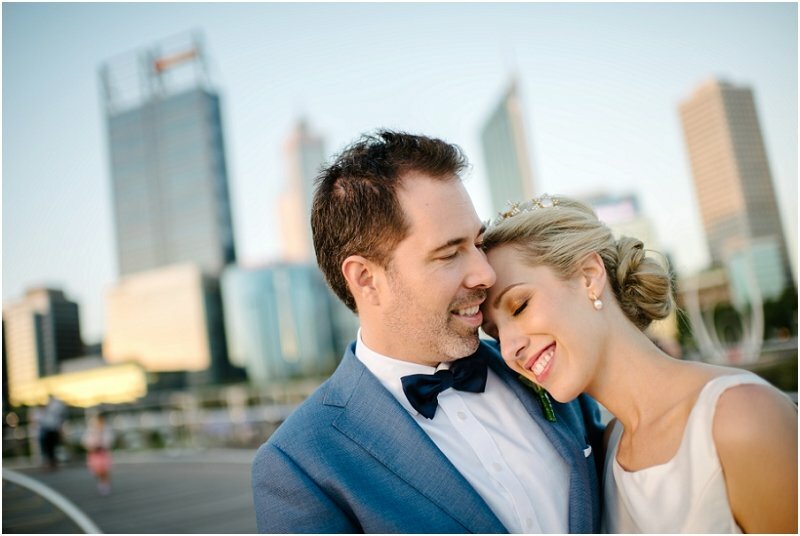 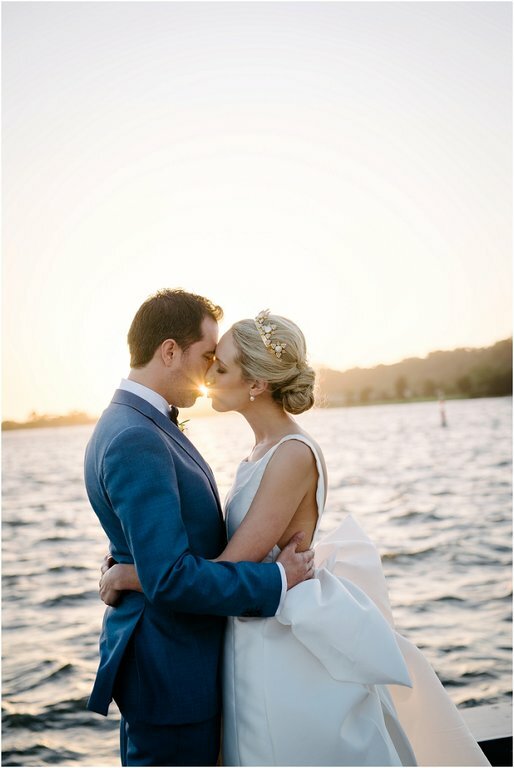 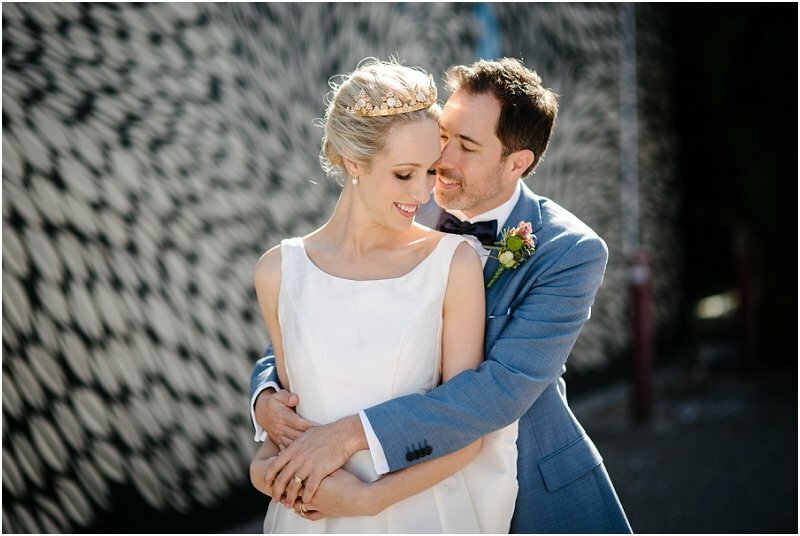 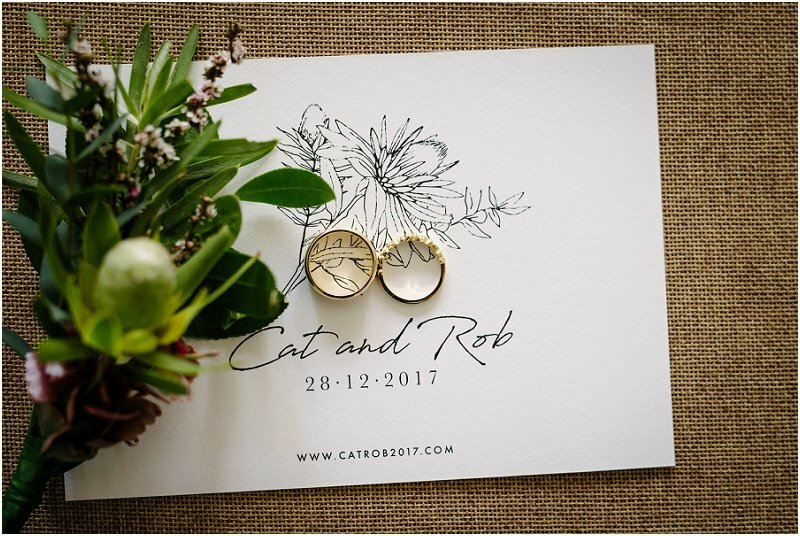 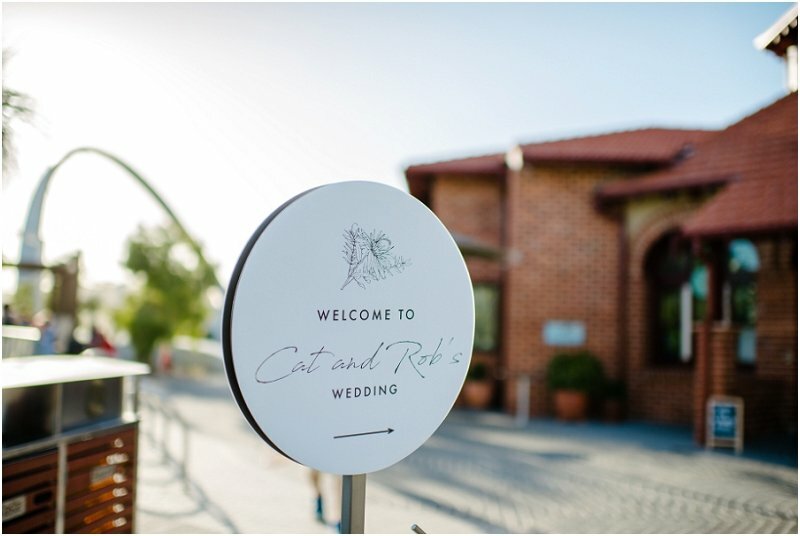 Cat & Rob, a well travelled, creative couple, set out to have a wedding that would celebrate our city and Western Australia. 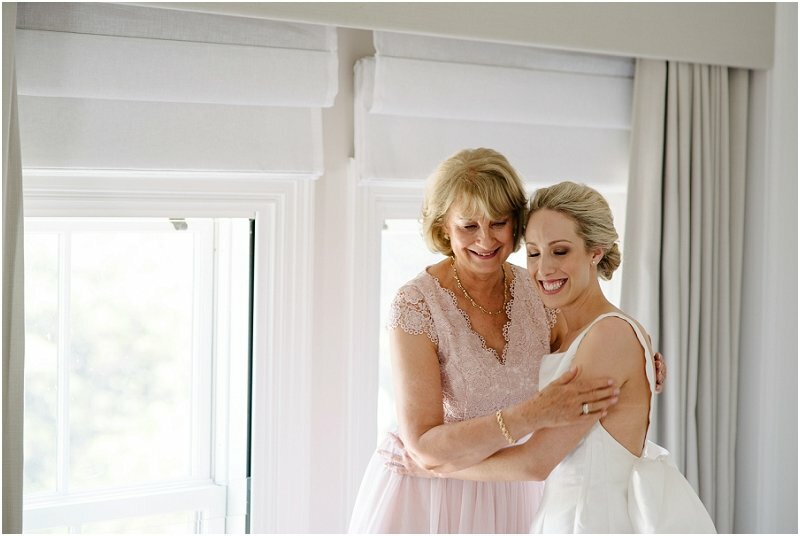 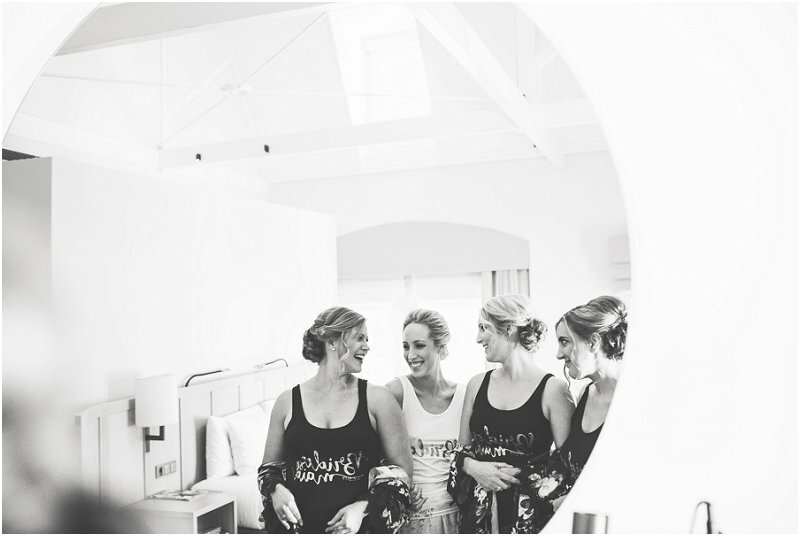 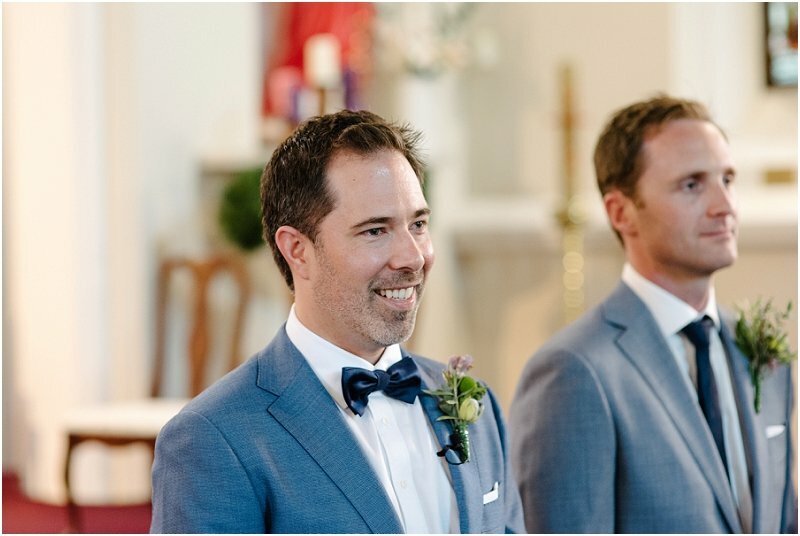 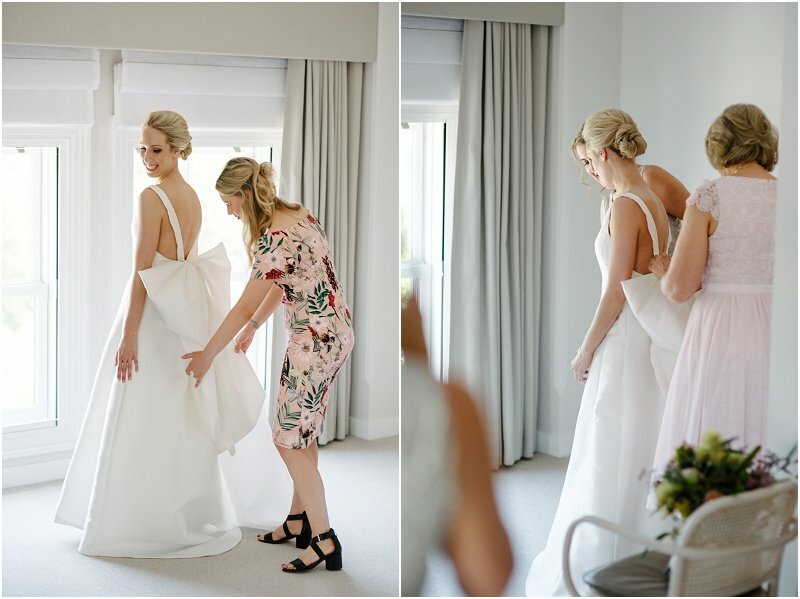 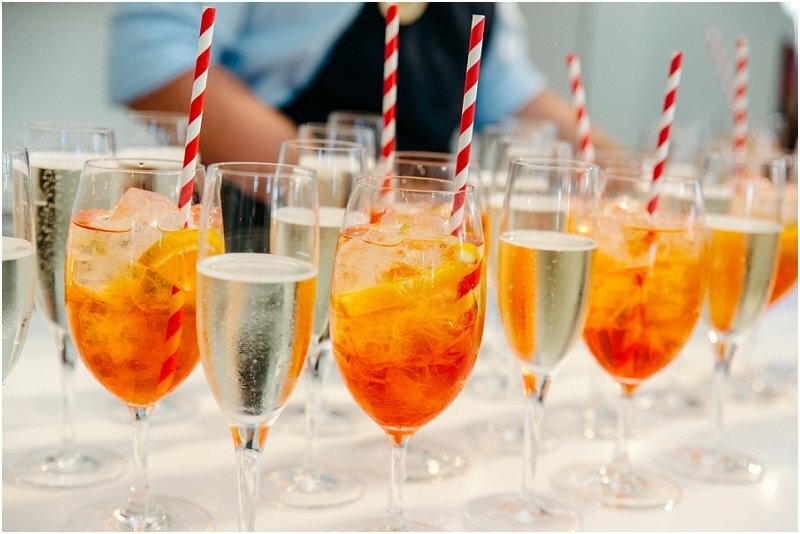 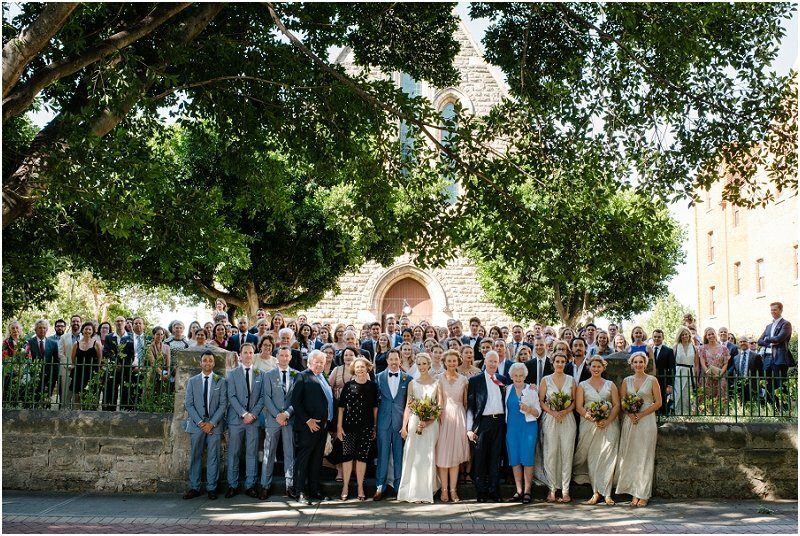 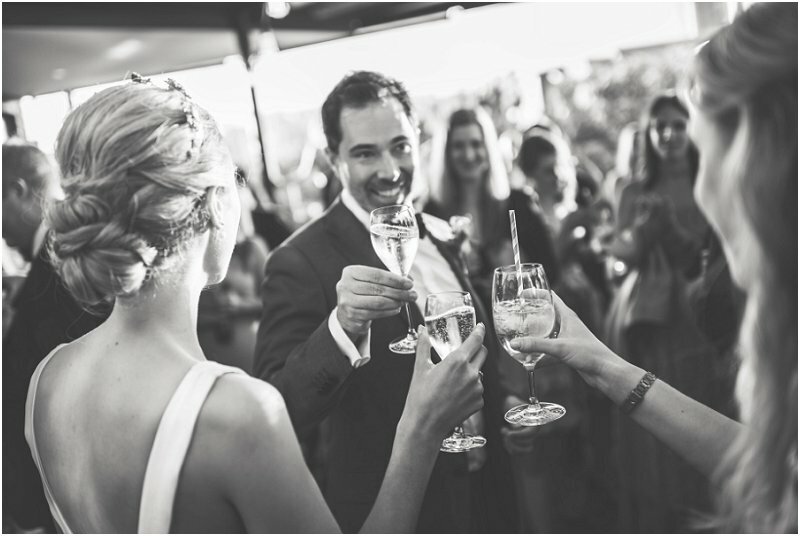 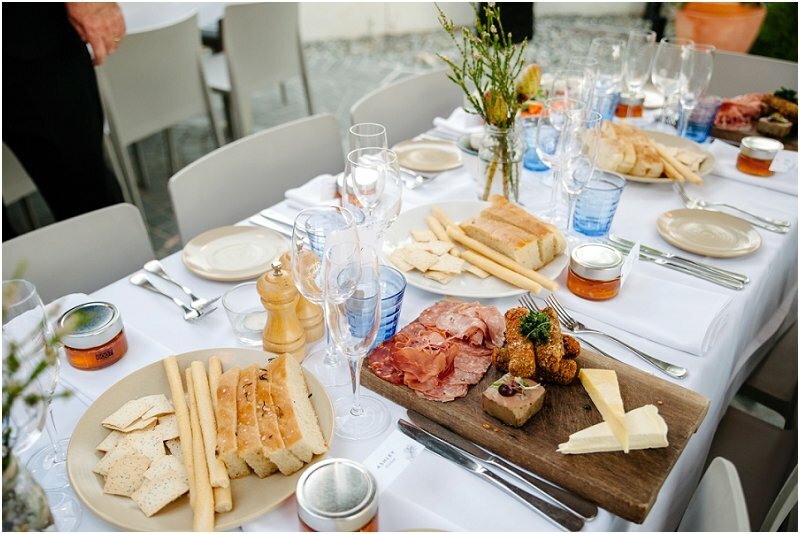 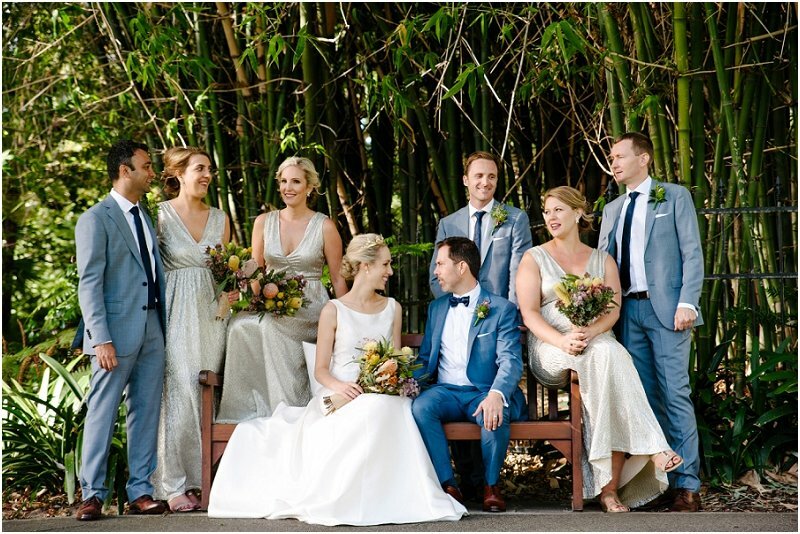 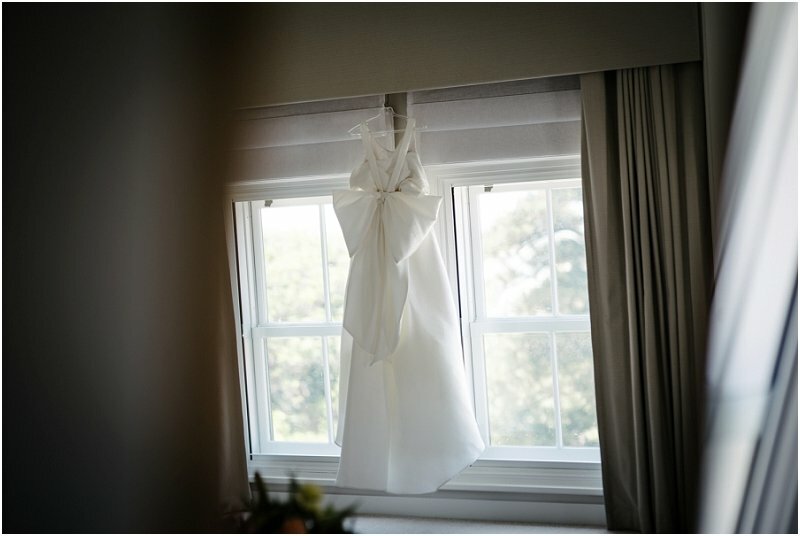 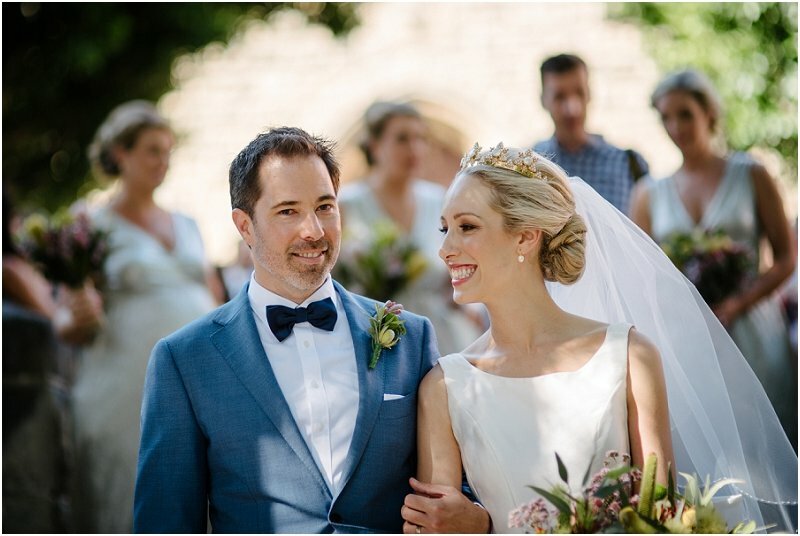 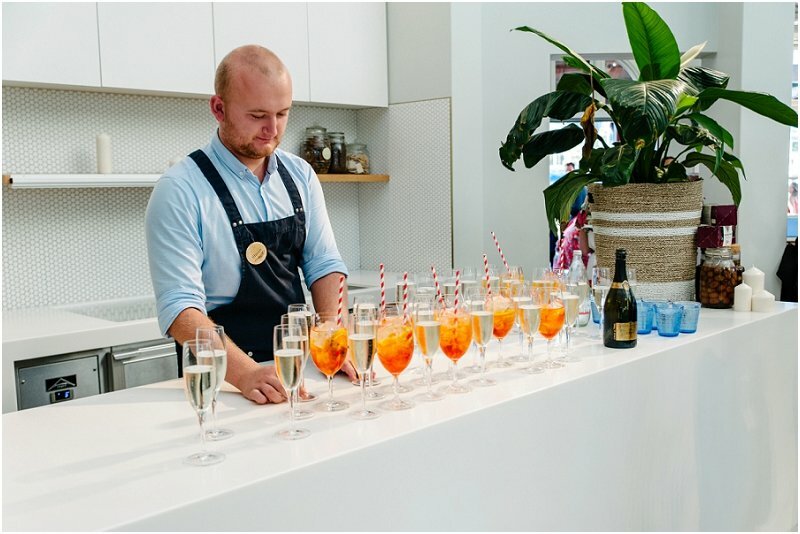 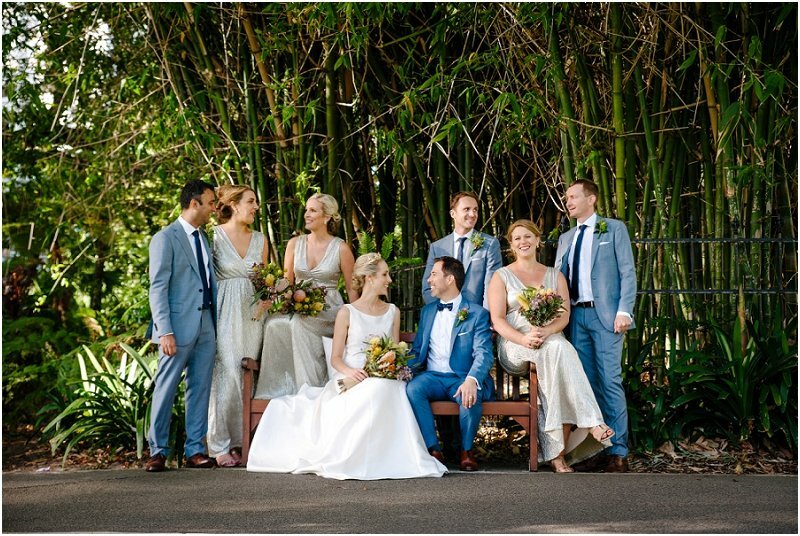 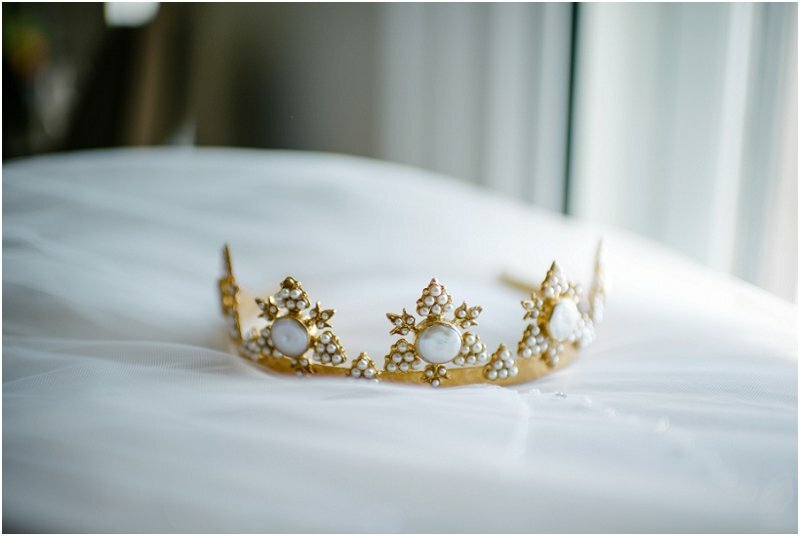 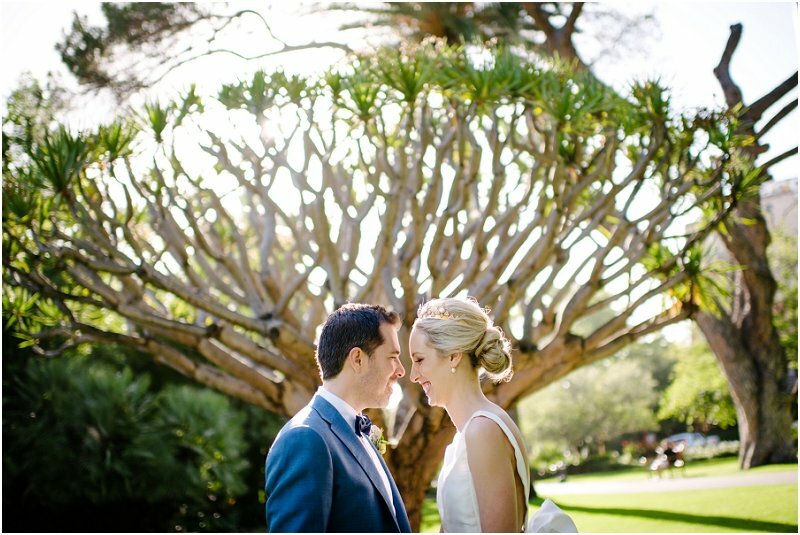 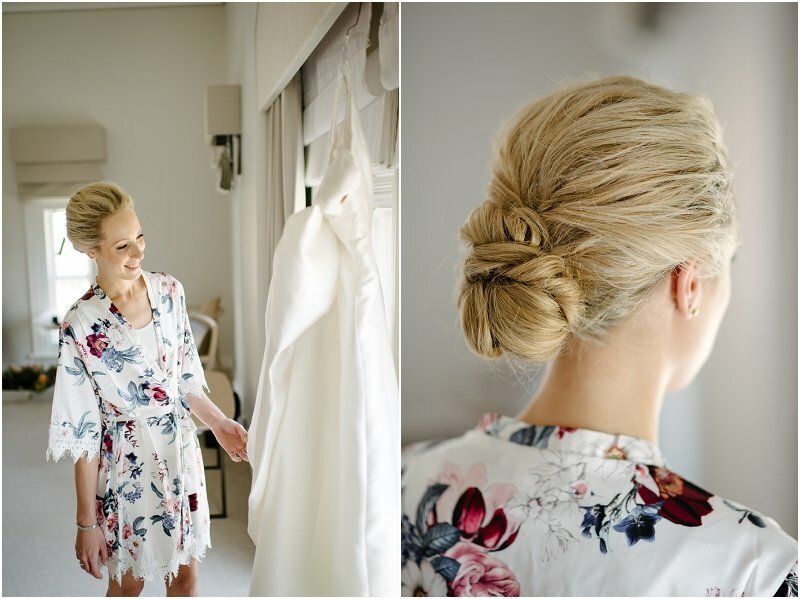 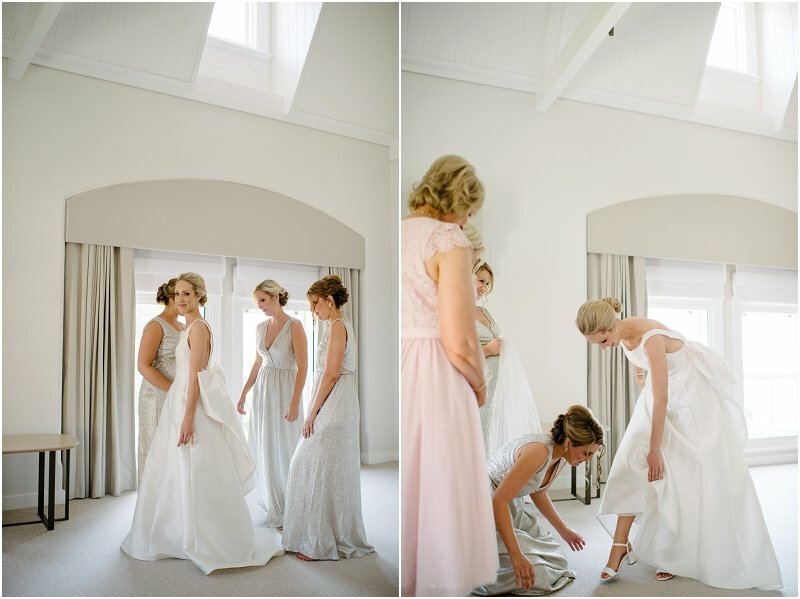 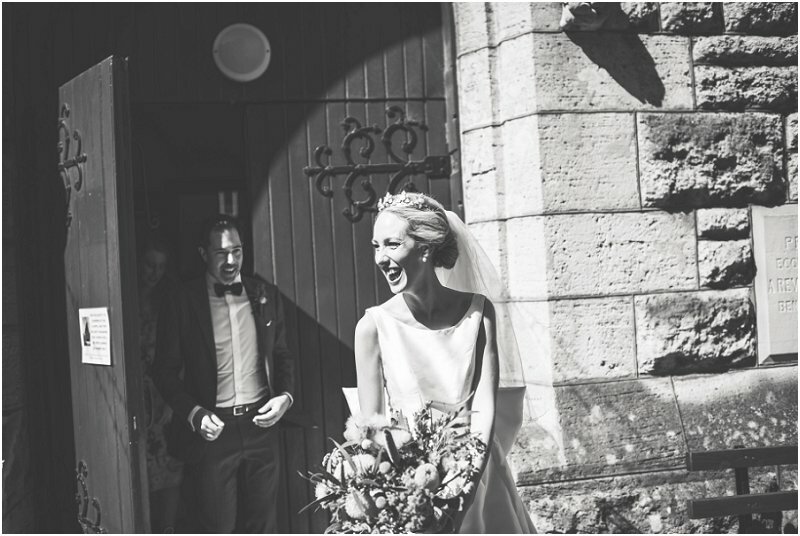 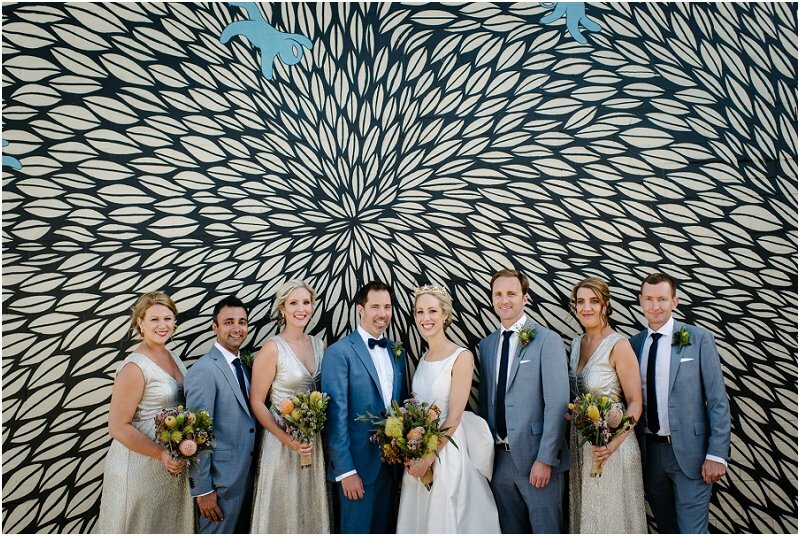 This is one elegant, thoughtful, and wonderfully organised wedding, that will make your jaw drop. 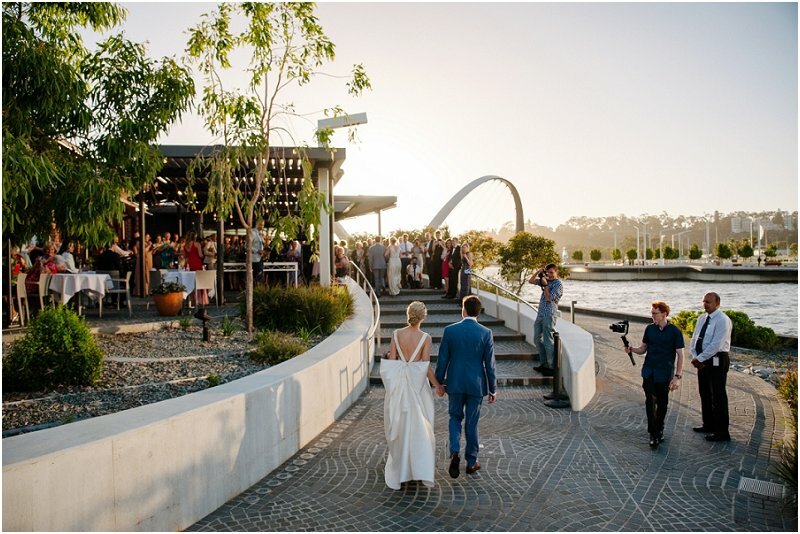 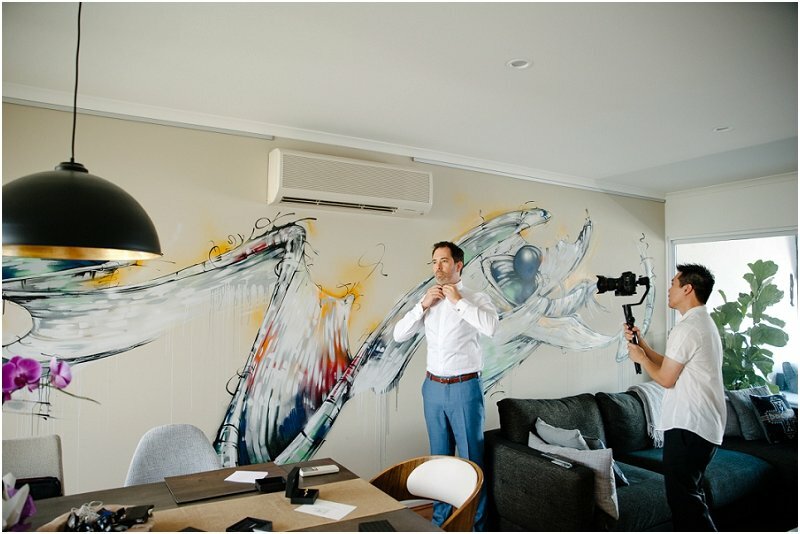 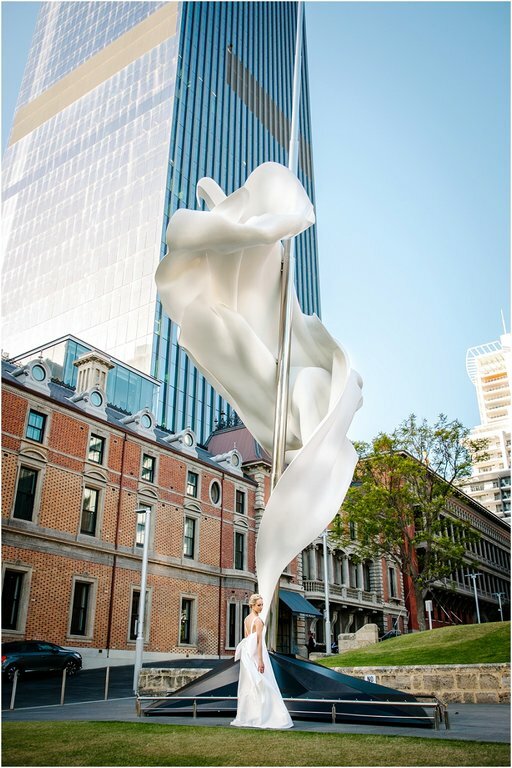 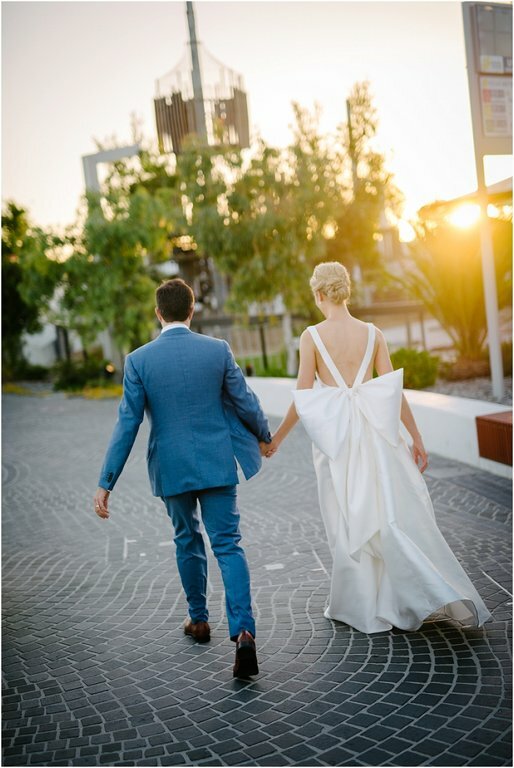 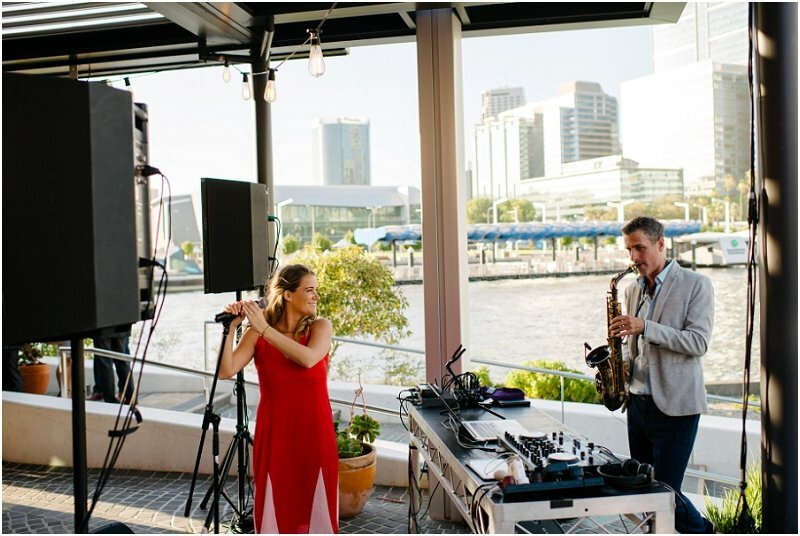 The details include a stunning dress, amazing locations, native flowers, murals, an amazing live singer with a dj/saxophonist and a perfect sunset. 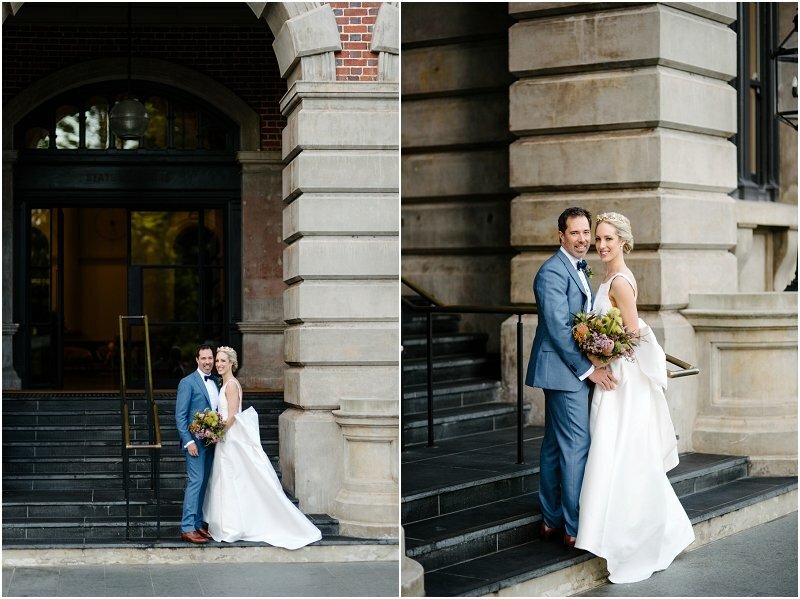 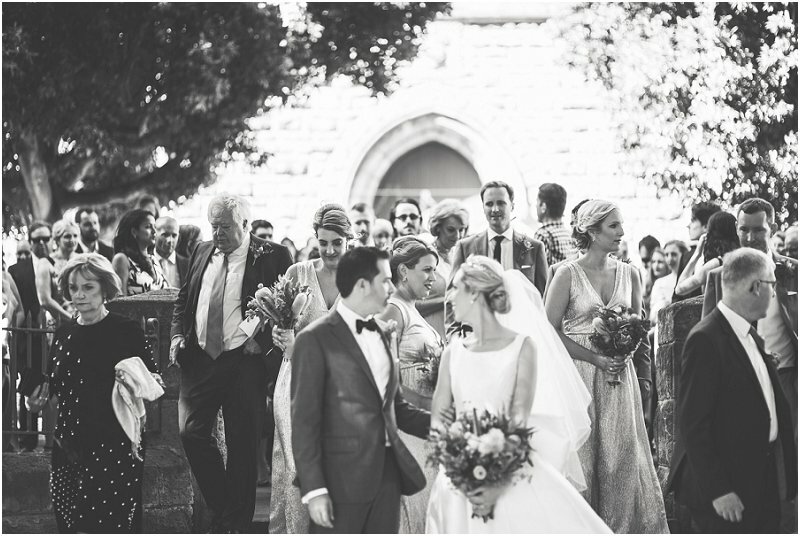 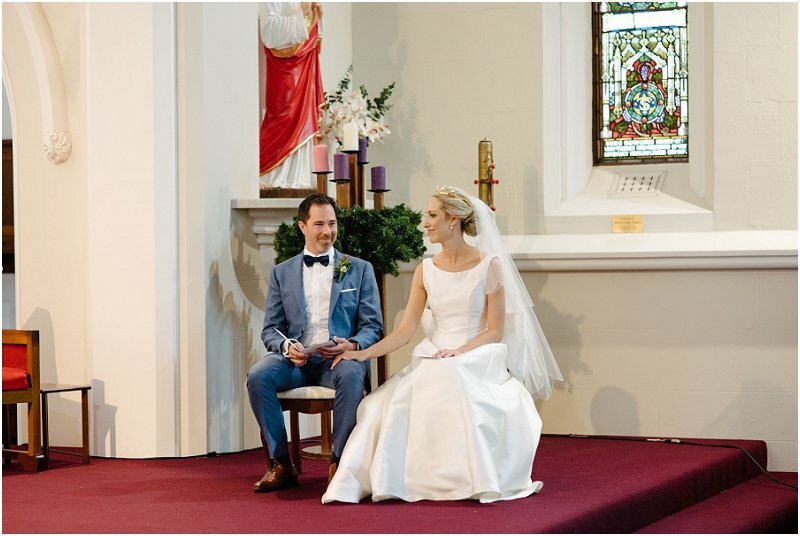 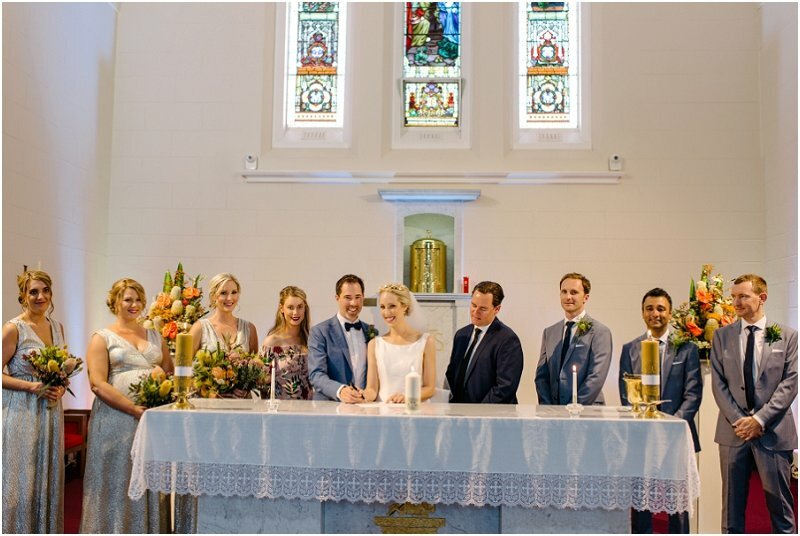 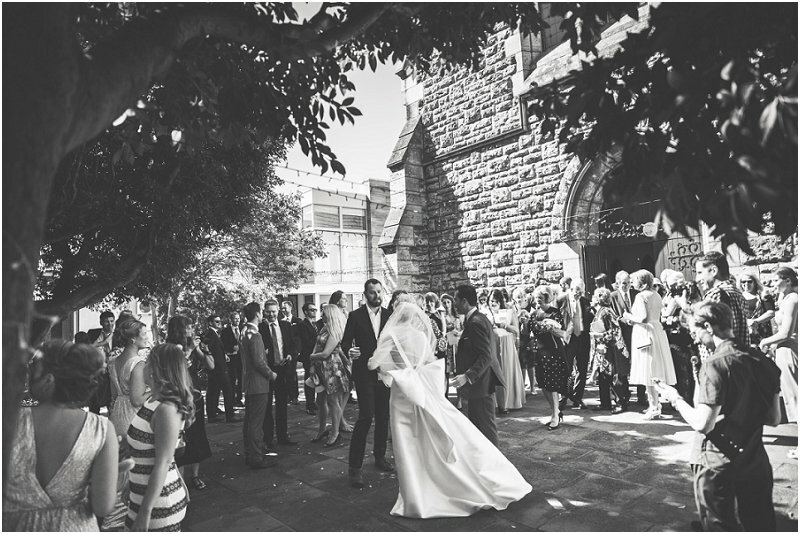 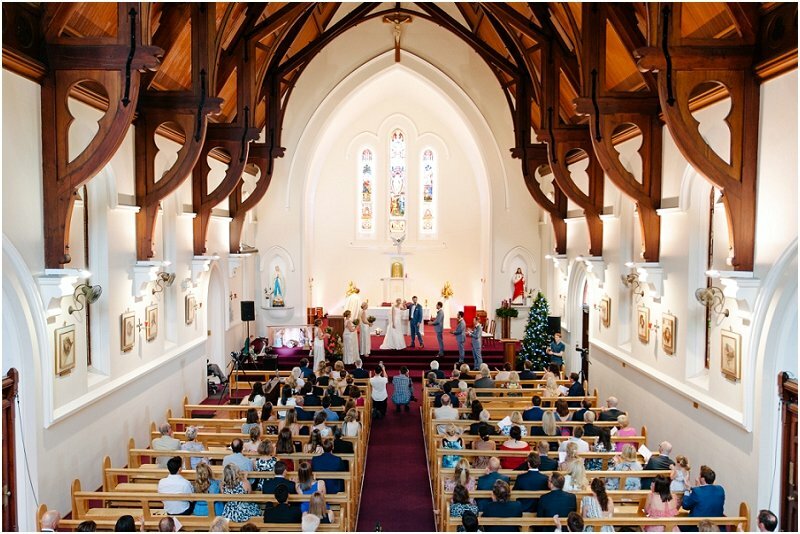 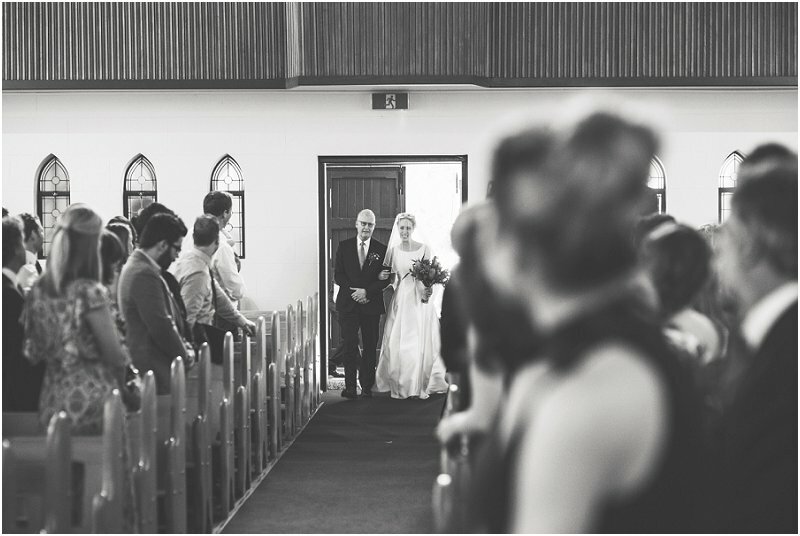 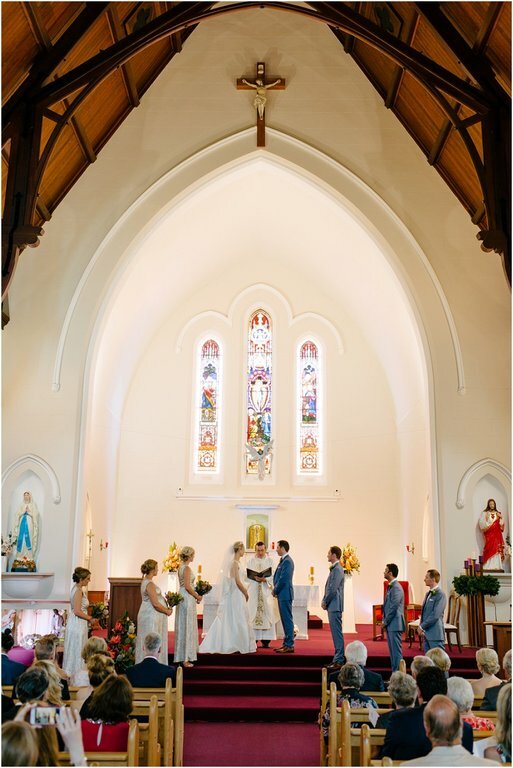 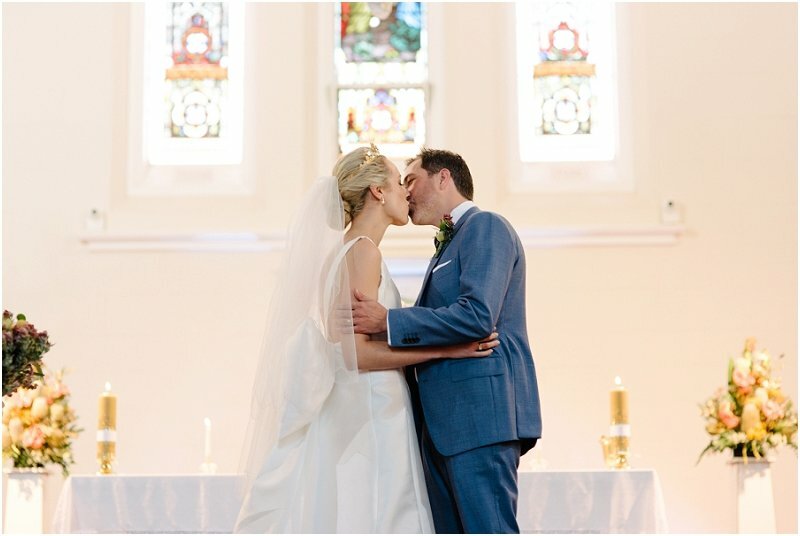 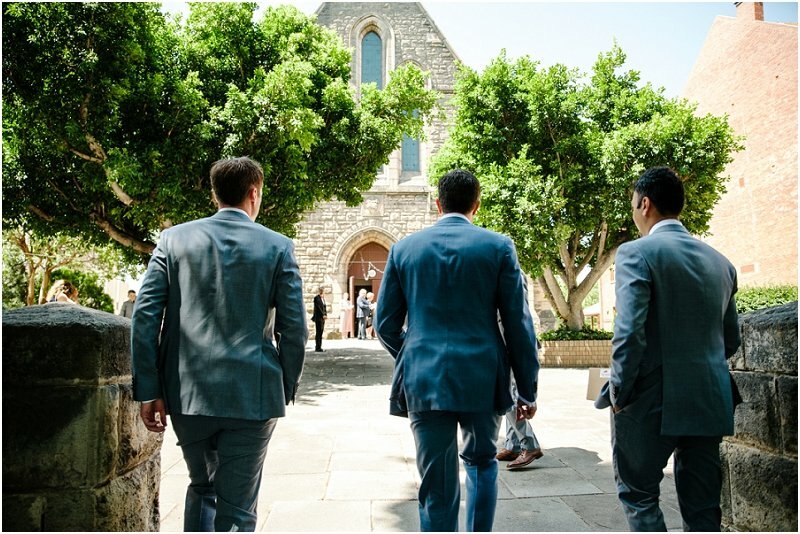 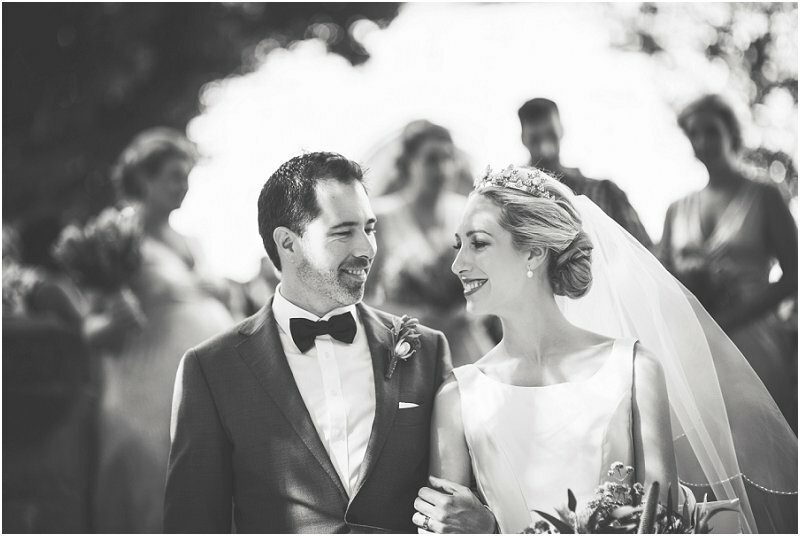 The couple chose to get married at the Sacred Heart Church in Highgate. 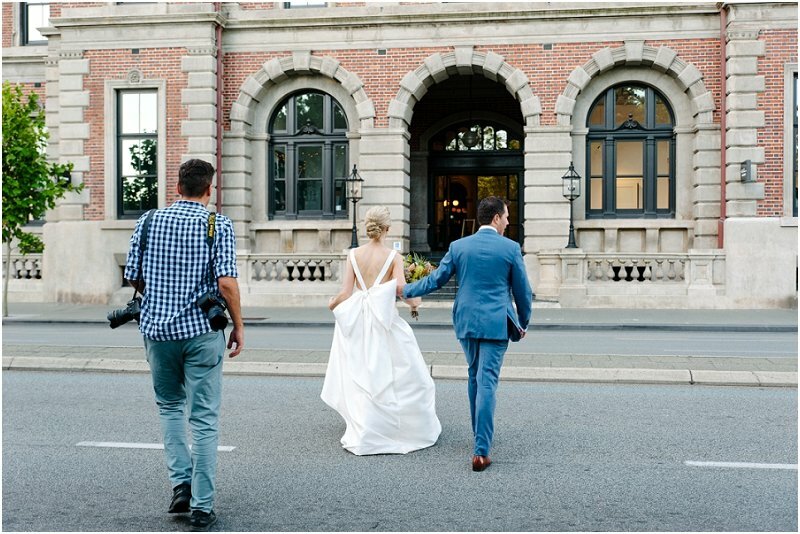 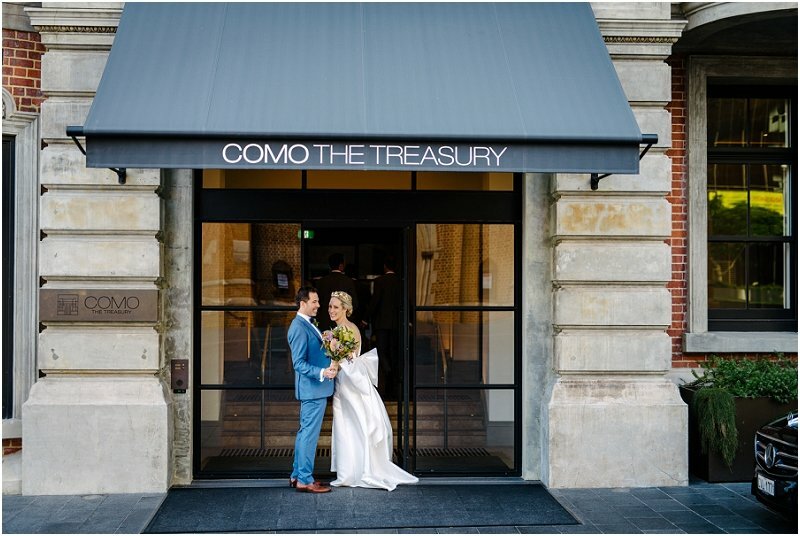 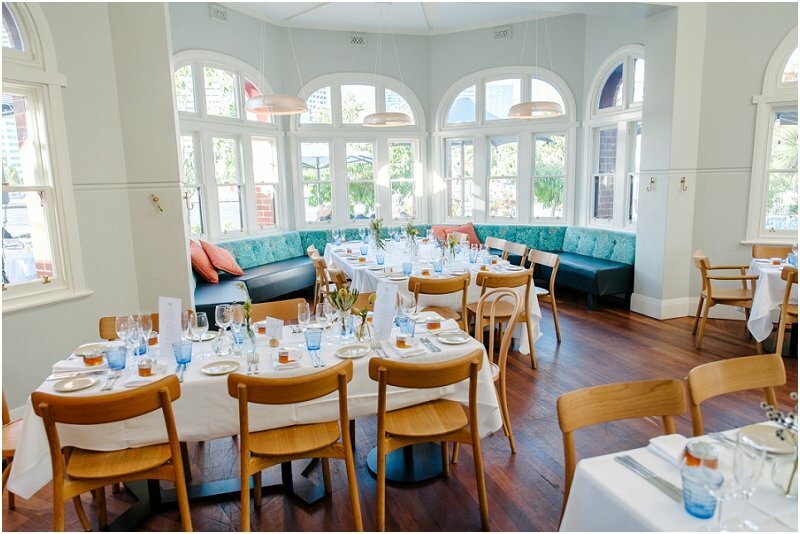 They stayed, and Cat got ready at Como The Treasury Hotel in CBD. 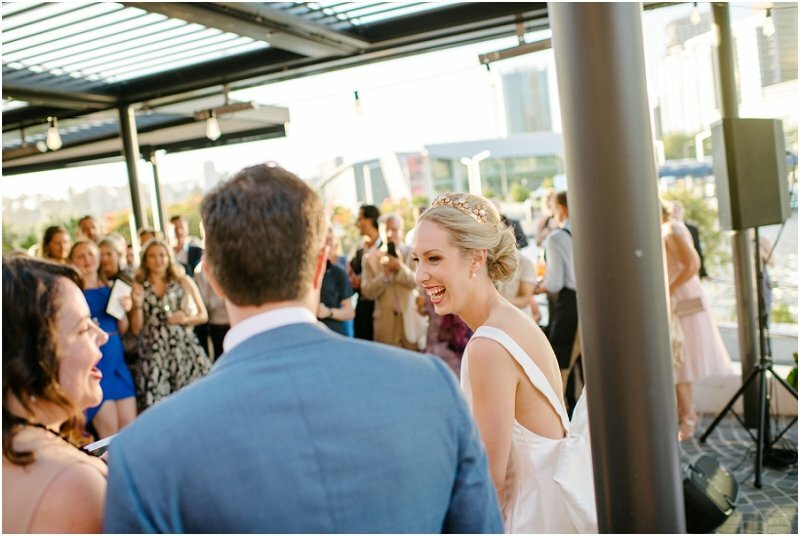 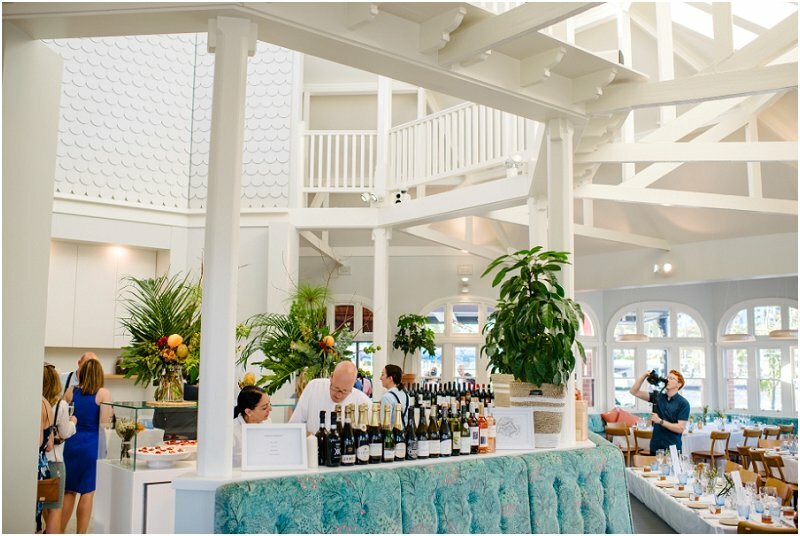 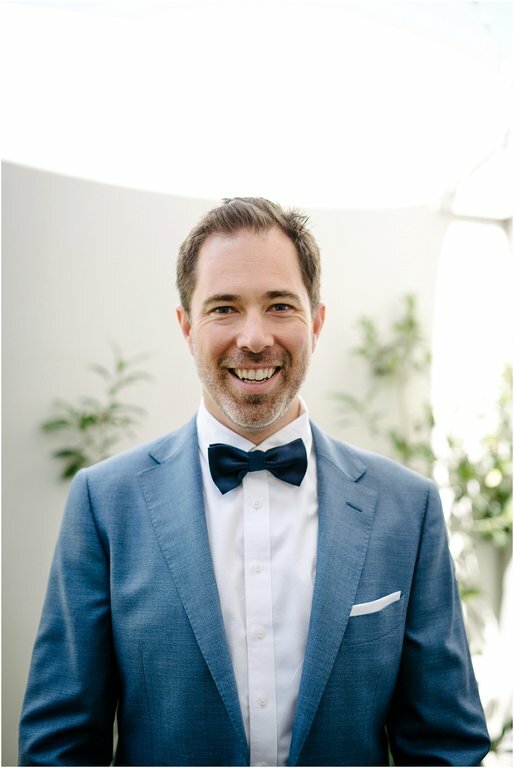 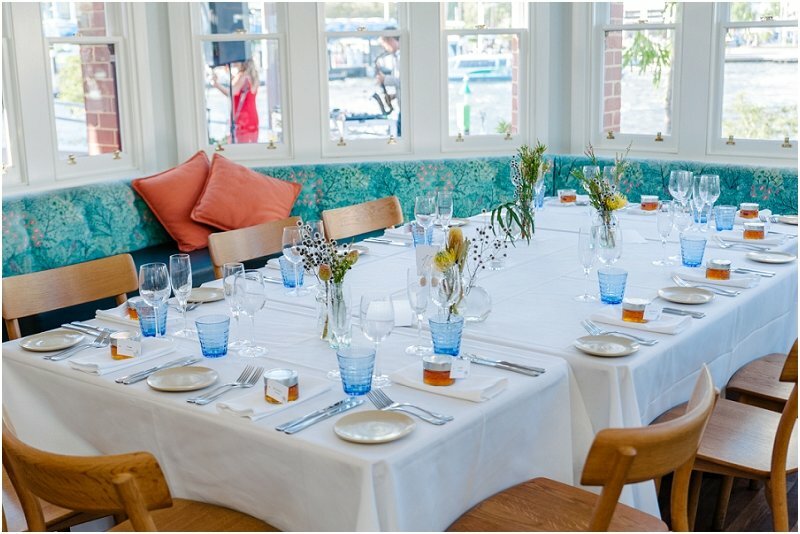 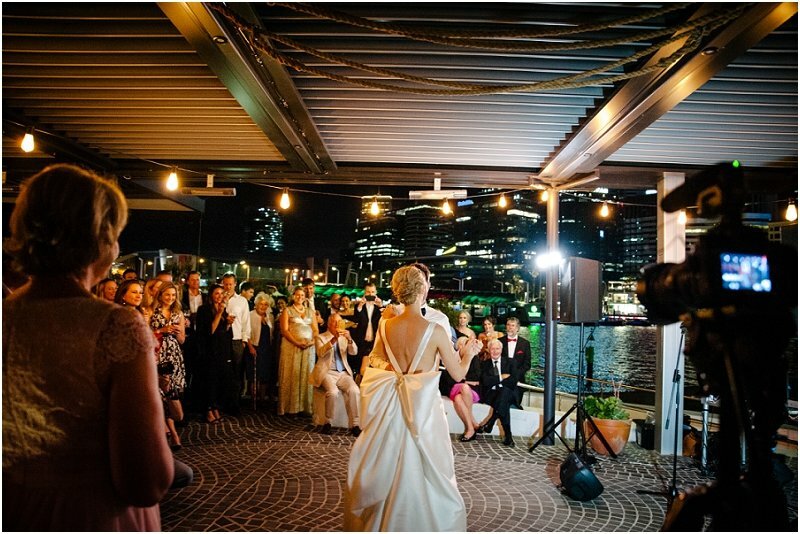 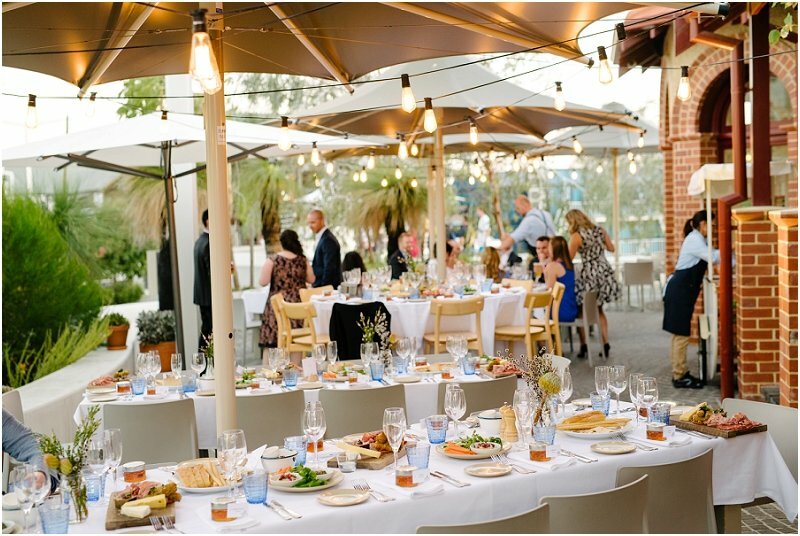 The reception took place at The Isle of Voyage Restaurant on Elizabeth Quey. 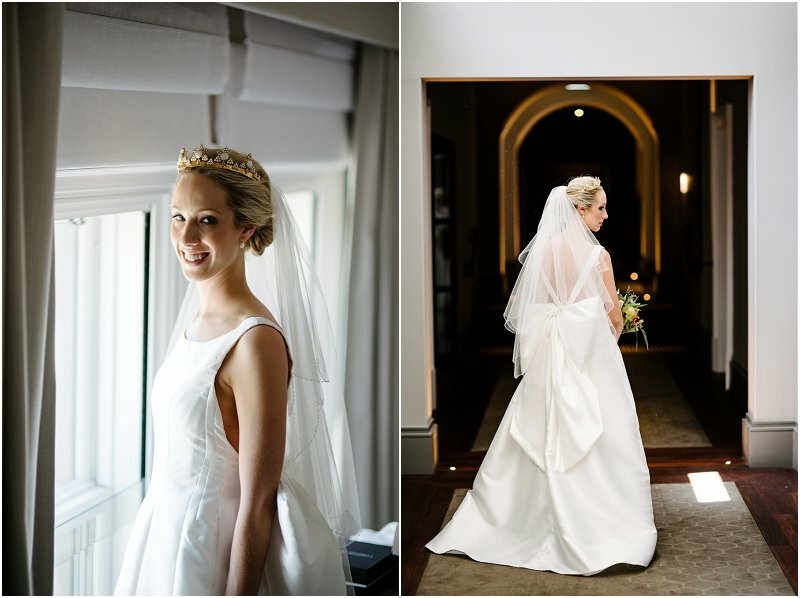 The gown was self designed and Helen and Joan at Anastasia Collections brought it to life. 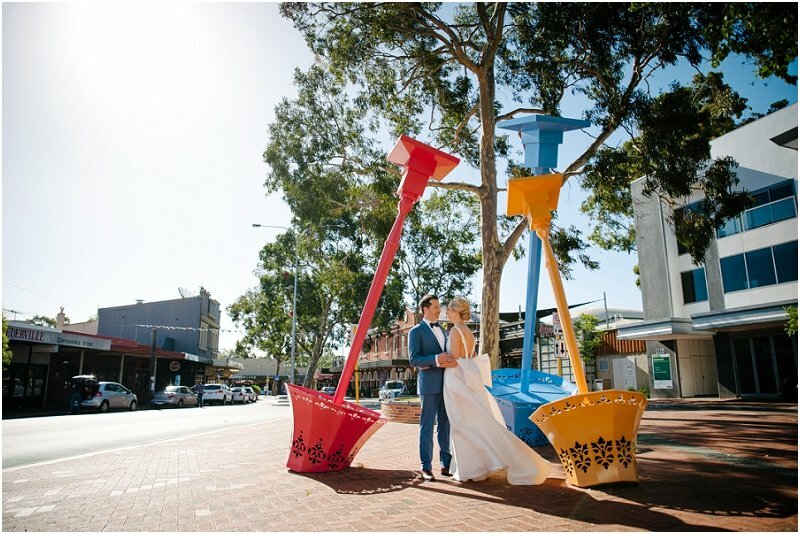 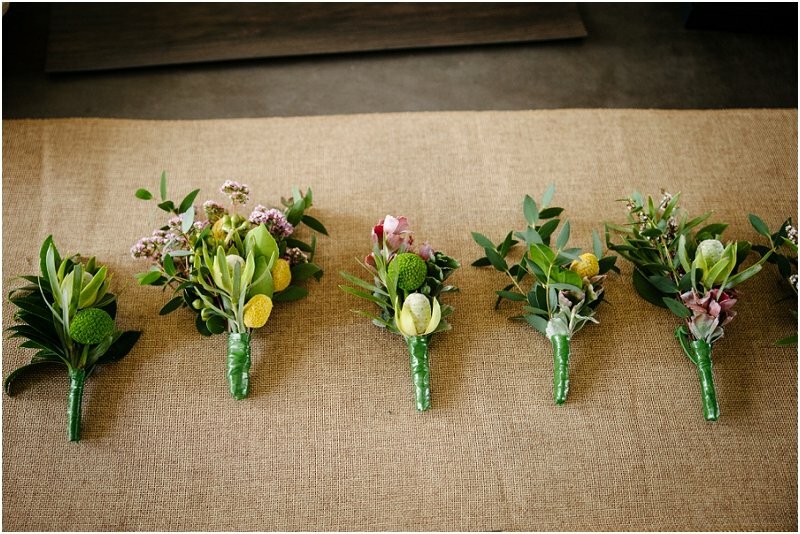 Flowers were from Funky Bunches in Leederville.